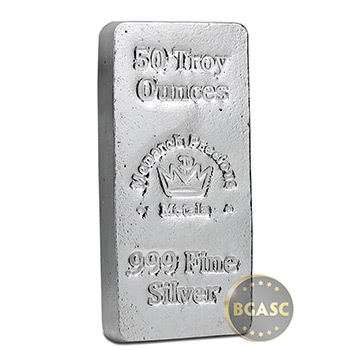 The 50 oz Poured Silver Bar from the Monarch Mint is a solid brick of .999 fine silver. 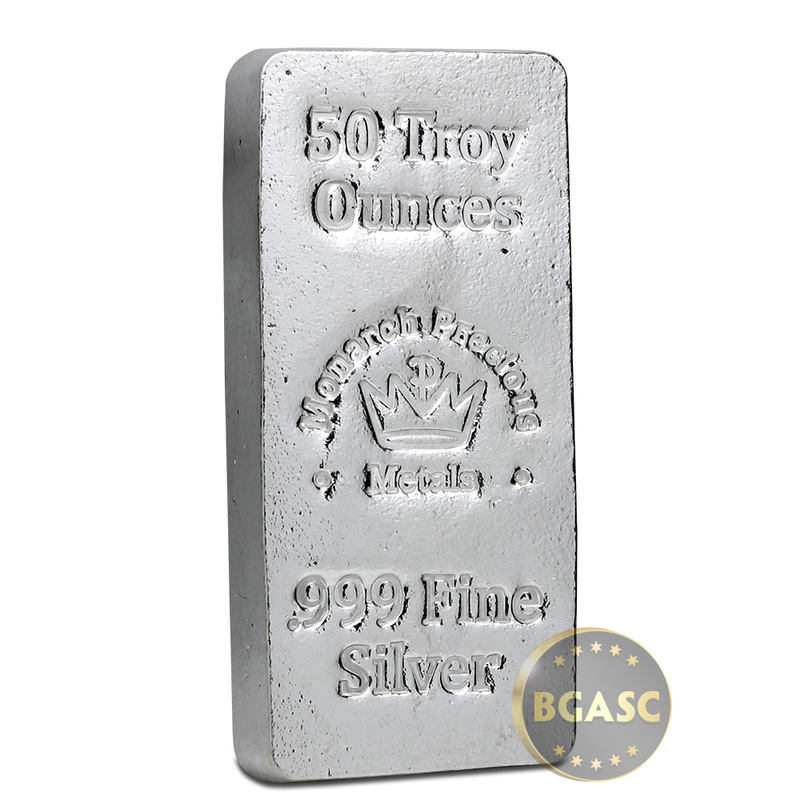 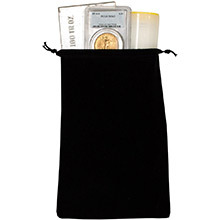 Each of these 50 oz silver ingots is hand-stamped with the Monarch Precious Metals signature crown logo, ".999 Fine Silver" and "50 Troy Ounces". 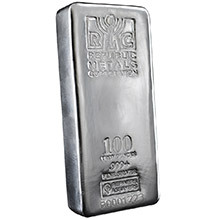 As you can probably imagine, this hefty silver bar feels great in-hand and would look just as good on your desk top as it would on the shelf in your safe. 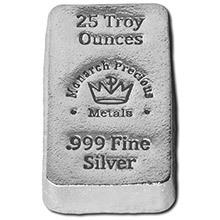 Headquartered in southern Oregon's beautiful Rogue Valley, the Monarch Precious Metals Mint hand pours and marks all of their silver bullion investment products the old fashioned way, giving them a rustic look that collectors love.